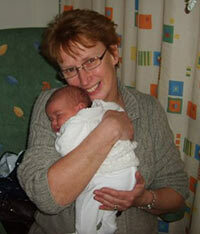 My name is Jane Clement, I am a mum to four grown up children, and enjoyed every minute of pregnancy and childcare. I also have three grandchildren, Evie, born in 2006, Isabella, born in 2009 and Lucas, born in 2011. I was present at both labours, and at the delivery of Isabella. I enjoyed every minute supporting my two lovely daughters, and felt that I would like to support other women in a similar way, helping them to have as positive experience as possible. I have had various jobs, I did an Orthopaedic nursing course in Oxford from 1975-1978, I then moved to live with my partner, Andrew, now my husband of nearly 30 years. My occupations since then have been many and varied: calf rearing, toy making, barmaid, and childminding; all mostly to fit around my family. 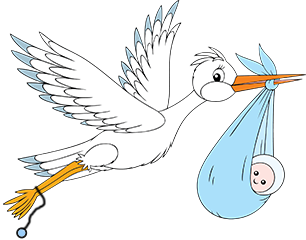 I did a training course to become a Doula with Nurturing Birth, and learned so much that I know can help me to impart the right knowledge necessary for a relaxed and enjoyable experience, both during labour and in the post natal period. 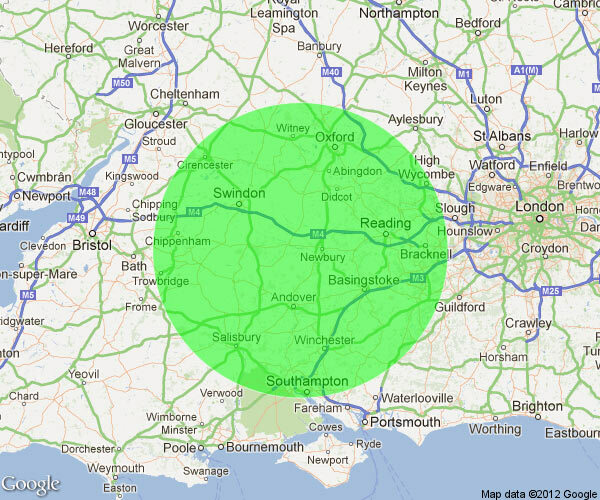 I am prepared to travel up to one hour from my home in Berkshire (roughly indicated by the green circle on the map to the left), and am attending the following hospitals as a Doula. I also attend home births. Copyright 2012 - Mum Matters / Anthony Fisher - All rights reserved.